After a lot of leaks and rumors, Xiaomi has officially unveiled the Mi Band 2, after the popular Mi Band 1S, which was launched last year. The new band is totally different from the ones we had seen previously as for the first time we are getting a display on board. It i a custom OLED display which can display information and you won’t have to look at your phone often. With Mi Band 2, users will be able to check the heart rate, time, distance, calories, power left on the display itself. There are changes in hardware as well in Mi Band 2. The OLED display comes with a new hardware platform with support for sports pedometer algorithm which can understand movement a lot better, so that the accuracy in counting steps will also improve. It also comes with support for calls, text messages, alarms and seven different kinds of reminders. And also all the information is shown on the display itself, also sleep quality tracking is said to be improved. It comes with a new strap and increased battery capacity up to 55%, which means up to 20 use it days on a single charge. The pricing for the Mi Band 2 is also pretty decent. The Mi Band 2 with OLED display will retail for 149 Yuan or $22.65. 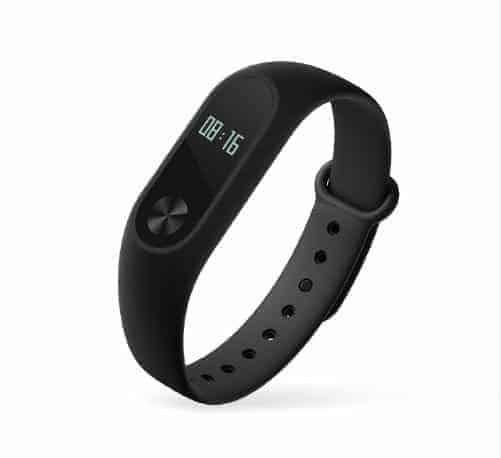 The band goes on sale on June 7 from Mi.com, JD.com, Lynx and Suning. Previous articleDo you know the reason Why the OnePlus 3 is Invite free?